Watch how Russian ‘bogatyrs’ performed on the world-famous TV show. Do you like to watch heroism, suspense and outstanding athletes on reality TV? Well, Russians do too. 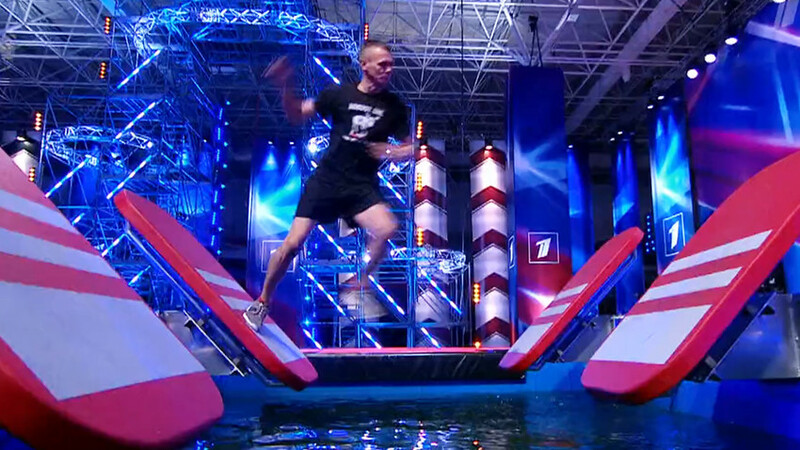 And so it’s no surprise that an internationally popular sports show like Ninja Warrior found its way onto Russian TV. In its first season, a complex obstacle course requiring exceptional physical strength and endurance drew many modern Russian “bogatyrs”–i.e. professional and amateur sportsmen—but only five of them made it to the finals and the chance to win the grand prize of 5 million rubles ($86,831). Although none of the finalists made it far enough to win the prize, their performances still earned them praise and respect from the public, as well as outcry at the show’s directors for letting these heroes go home without any prize whatsoever. Here are five of the best performances during the finals. Do you think you could do better? He made it through the first stage of the final but unfortunately didn’t have energy for the second (watch from 1:25:00). Despite the fact that this challenging course is perhaps best suited for climbers since it requires a lot of hand strength, it still wasn’t easy for Mikhail, a 23-year-old climbing coach from Korolyov (located just outside of Moscow) who spends almost all his time on the climbing wall. “In the process of preparation, I watched different videos to be ready for any surprises,” he said. “Yet, the biggest surprise was that it isn’t as easy as it looks!” Indeed, while Mikhail successfully made it through the first stage of the final, he was unable complete the second (watch from 1:27:00). Vitaly, a 29-year-old warehouse worker from Moscow, may not be a professional climber but he did manage to breeze his way through the first stage of the final (watch from 1:06:00) and almost made it to the third stage of the final, pressing the finish button just one second too late! The youngest finalist was Georgy, a 21-year-old student from Yekaterinburg. He was the last one to attempt the second stage but, like others, fell in the process (watch from 1:40:00). Want to see more of Russian TV? Have a look at the Russian TV show Golos (“The Voice” in Russian), which was rated the best musical TV show in the country in 2015. Just for you, we picked the most engaging performances by some of the biggest talents in Russia.